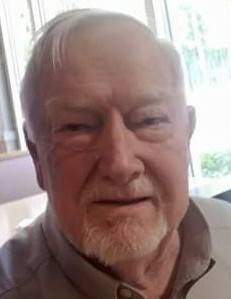 Walter Leonard Steedly, 84 of Ridgeland, SC passed away Wednesday, December 5, 2018. He was born on November 20, 1934 in Hunters Chapel Community near Bamberg, SC to the late David and Vera McMillian Steedly. Mr. Steedly retired from the South Carolina Department of Transportation after 35 years of service as a Civil Engineer, and from the South Carolina National Guard as a First Sergeant after 23 years of service. He was an avid outdoorsman, a member of Great Swamp Baptist Church, and an ordained Minister. Mr. Steedly served as the pastor of Faith Baptist Church in Ridgeland, SC for 7 years, as an interim pastor for other local churches, and wore many hats in his church service. He was a loving brother, husband, father and grandfather. To everyone who knew him, Leonard was “the anchor you could depend on to hold everything together”. Left to cherish his memory are his wife, LaTrelle Steedly; one son, Walter (Sharon) Steedly II; one daughter, Kimberly (Patrick) Malphrus; two brothers, Mirt (Ernestine) Steedly and Dan Frank Steedly; one sister, Pauline Matthews; one sister-in-law, Kathleen Steedly; and three grandchildren, Johnathan Malphrus, Kimberlyn Malphrus and Cory Steedly. A funeral service will be held at 11:00 am on Saturday, December 8, 2018 at Great Swamp Baptist Church, 9009 Tarboro Road, Ridgeland, SC. The family will receive friends one hour prior to the service at the church. Interment will follow in Hunters Chapel Baptist Church Cemetery, 9375 Hunters Chapel Road, Bamberg, SC.